Australian miners that own assets in North Korea have become embroiled in the Panama Papers scandal, which have brought to light possible collusion in breaking UN sanctions. David Henty Sutton and Louis Schurmann have been linked, via their business interests in North Korea, to North Korean firm National Resources and Development Corporation (NRDC) which is reportedly an alias for a business exporting North Korea’s weapons,according to the ABC. The two are part of Pacific Century Rare Earth Minerals, which is a joint venture between NRDC and SRE Minerals, which are operating on the Jongju rare earths ‘mega-deposit’ in the country, as previously reported in Australian Mining. 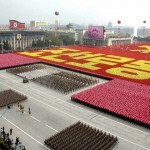 North Korea has been increasing its focus on its mining sector in the last decade, with Dr. Ben Habib, a professor of international relations at La Trobe University telling Australian Mining “North Korea is coming up, and since 2009 we’ve seen a spike in the country’s income from natural resources, according to data from the Bank of Korea”. “The resources sector has been the first legitimate sector of the economy to take off in the Songun (North Korea’s military first policy) era,” Habib said. Mining presents a unique opportunity to stimulate North Korea’s economy. Unlike many of the economic avenues the nation has travelled down – drugs, arms, statues, and outsourcing its own citizens as a cheap labour force – tourism and mining are legally providing a development path supposedly unaffected by the existing UN sanctions. Habib explained that the country is using mining as an open channel, outside of UN sanctions, as a course for growth. However new information from the recently leaked Panama Papers is highlighting the link between Schurmann and Sutton and the NRDC, also known as the Korea Natural Resources Trading company, in illegal banking practices , suggesting the two are complicit in breaching UN sanctions relating to mining agreements. The ABC reports that the shell companies the mining agreements were originally made with AAT and EHG (which later became Bunuru Corporation) on the Kumwha polymetallic deposits were used to by North Korea to leapfrog UN regulators and allow it to operate financially in the international banking system. 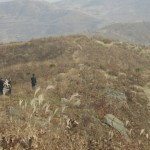 It is as yet unknown whether similar practices were used in the operation of the Jongju deposit. “My work and my involvement in any part of the world is apolitical…I do not get involved in any politics and will not even have an opinion. A new move in North Korean mining?